View pictures of our latest projects. 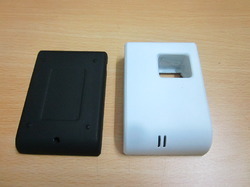 Prototype casing made by Vacuum Casting in ABS material. -All parts painted separately and assembled. -Threaded metal inserts molded in the parts. 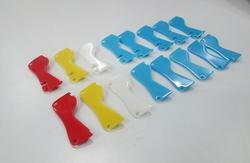 Parts made by vacuum casting in ABS material, molded in various colors with glossy surface finish. 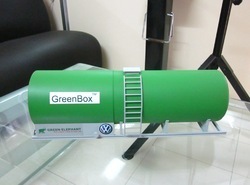 We are highly appreciated by the clients for offering a superior quality range of 3D Printing Engineering Models. The intricate parts of any engineering part or system are showed in details with the help of 3D printing. These models are designed under the expert guidance of our expert professionals, who hold vast experience in this field. Moreover, the models offered by us are checked on various well-defined parameters so as to ensure their adherence with international standards and norms. 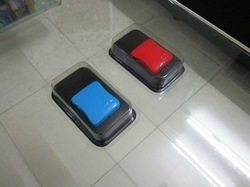 -Prototype made by silicon molding in color. 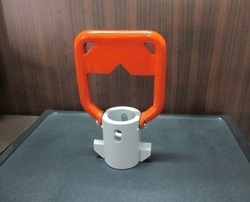 Handle Prototype in Steel material. 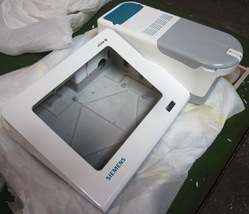 Rapid Prototype in ABS material painted with Matt Finish.